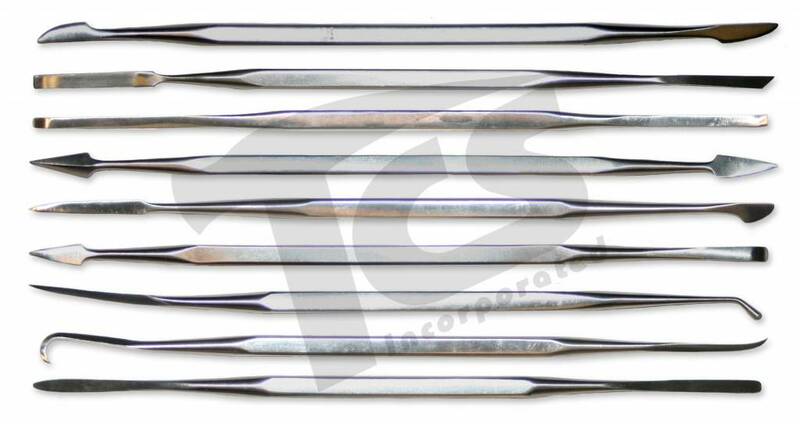 Our set of nine stainless steel modeling tools is one of the most versatile sets in the field of sculpture, whether you are working in Plastilina, moist clay, wax or plaster. 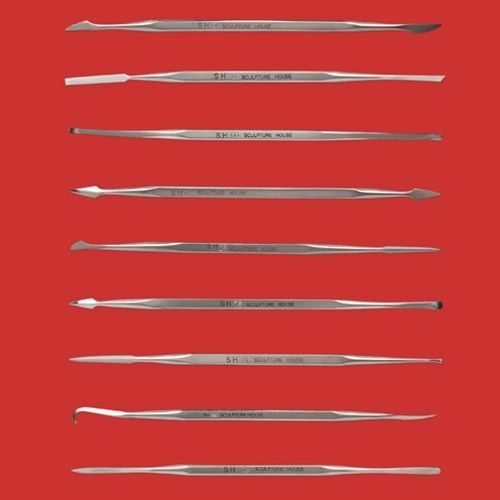 Each rust-resistant tool has been forged with 2 distinctly-shaped ends designed for specific sculpting techniques, including cutting, smoothing, gouging, and delicate detail work. 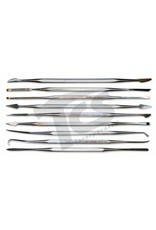 The set is packaged in a leather tool pouch for easy storage and tool protection. 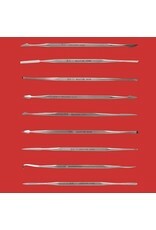 Approximate length of each tool - 6".